Here's how you stop web results from showing up on every search you do on Windows 10 while improving local results for files, apps, and settings. While certain web results can be helpful, they are not always necessary, because we tend to use search in Windows to find local documents, settings, and apps, and we leave the online searches as a task for the web browser. Also, these web results powered by Bing seem to get more priority, pushing your local stuff to the bottom of the list, which makes the experience a little inconsistent. In this Windows 10 guide, we'll show you the easy steps to prevent the operating system from serving web results when you do a search on your computer. 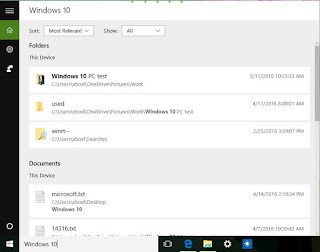 Click to open the search box in the taskbar. Click Settings from the list of options. Note: On Windows 10 build 14316 and later versions the Settings button to access Cortana setting may appear outside of Notebook in the navigation pane on the left. On the Settings page, turn off the Cortana can give me suggestions, ideas, reminders, alerts and more option. 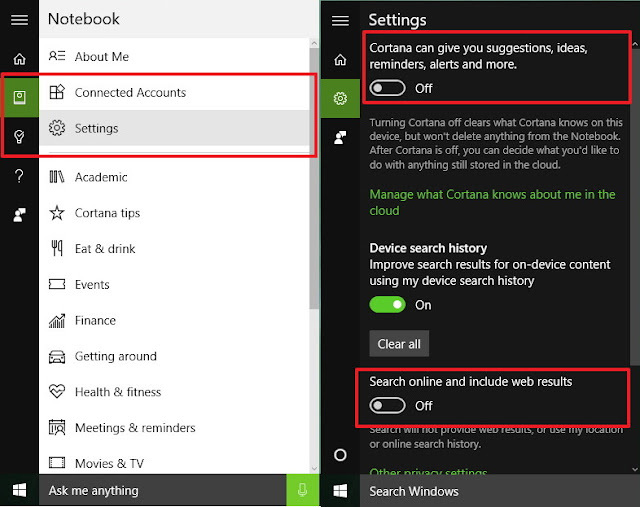 After disabling Cortana, turn off the Search online and include web results option. You will now notice that the search box in the taskbar no longer says "Ask me anything," instead, it reads "Search Windows," indicating that you have completed the task. Try to do a search one more time, and this time, you'll see that search results will no longer appear. In the case you need a more advanced search experience, type your search query, and click the Search my stuff button. In the advanced search section, you can sort results by relevance or time, and you can limit the result to a particular category (e.g., Documents, Settings, apps, etc.). If your concern is Cortana displaying Bing results, then you can use our previous guide with the instructions to force the assistant to use Google to get online results. 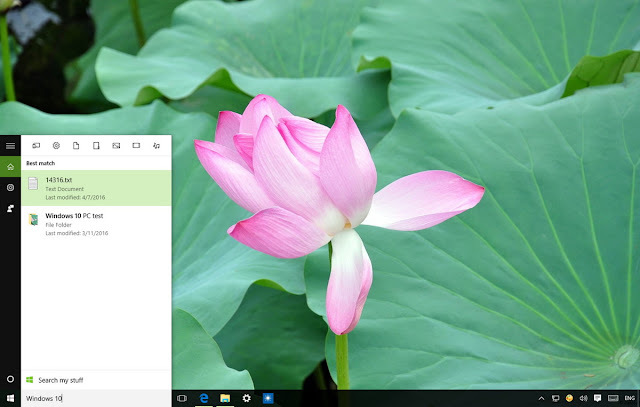 Keep in mind that stopping web results from showing up in the taskbar search box will also turn off Cortana in your system, which means that you'll have to make the decision of which experience is more important to you.